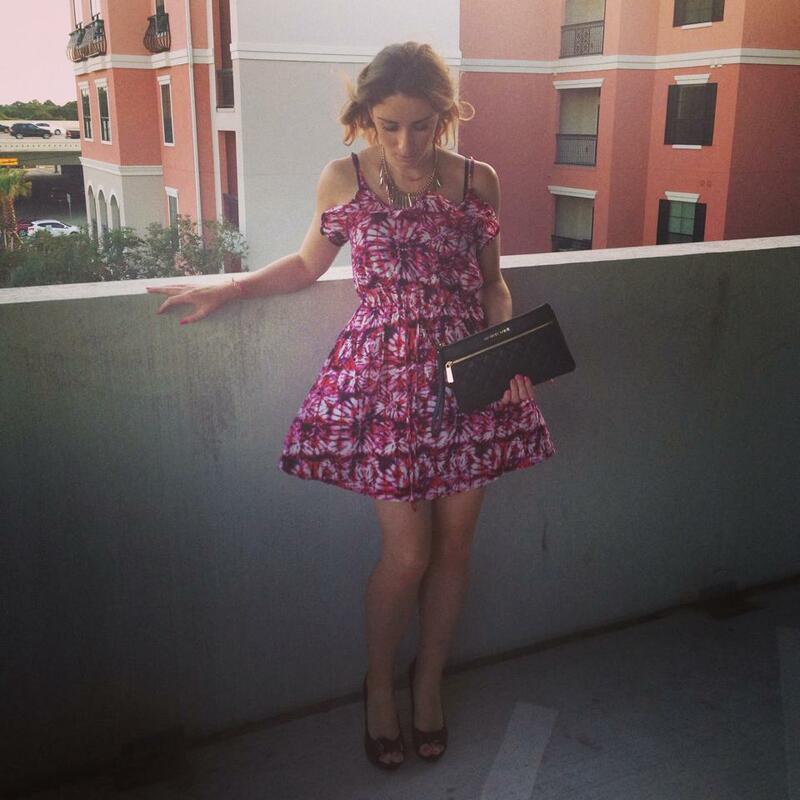 What you will learn very quickly about me is I go through phases of liking one particular type of item, whether it’s statement necklaces, heels, totes or cardigans for that moment or time frame in my life I LOVE this item! Sadly then I move onto something else which has caught my eye, usually more sparkly..! This does mean over the years I’ve built up a wardrobe, accessories collection and shoe display that I’m extremely proud of! Despite my husband asking me countless times ‘ how much more stuff do you need’ he really should know me by now, I love experimental and I’m a holder when it comes to all the above! Since my birthday and all my beautiful treats (one very spoilt girl here.. !) I have a new found love for earrings. I don’t think I appreciated them enough before. They come in all different shapes and sizes, different colors, different statements for each one. Pearls could add that level of sophistication that no other item could pull off, gold hoops display your ghetto/gypsy-esque side and I could certainly go on and go! I’ve been introduced to one of the best accessories shops EVER – even better as they lay everything out in colored order – which is Charming Charlie’s. I am also very lucky to be located right next to one! This month lets all dig around in our accessories boxes, or if your like me you have about 10 displays for jewelry, and lets show our earring appreciation this month! 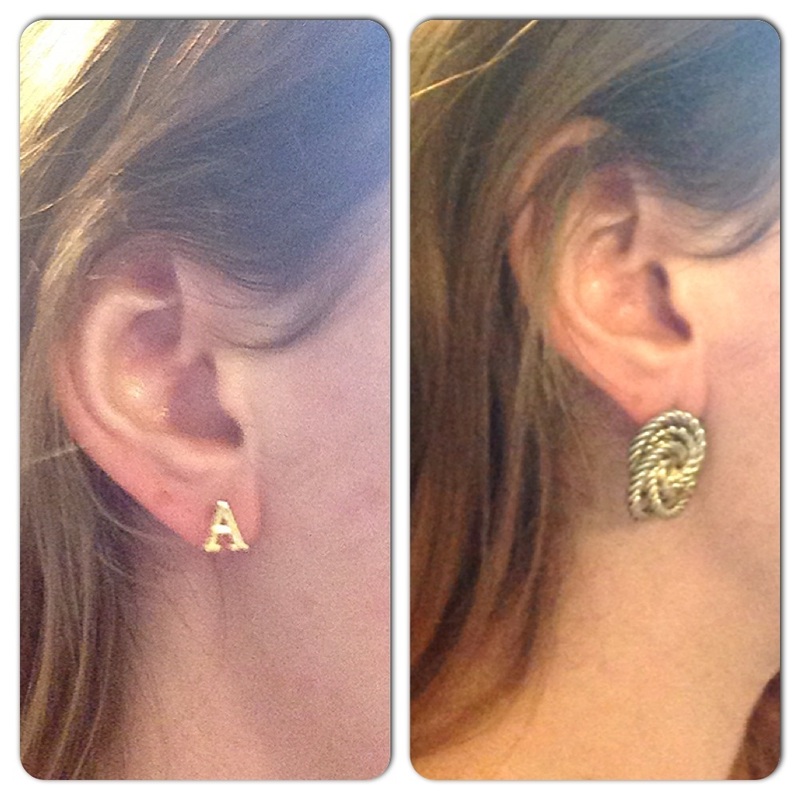 I have taken pictures of a couple of my favorite pairs – p.s Chandelier earrings are well and truly in…! 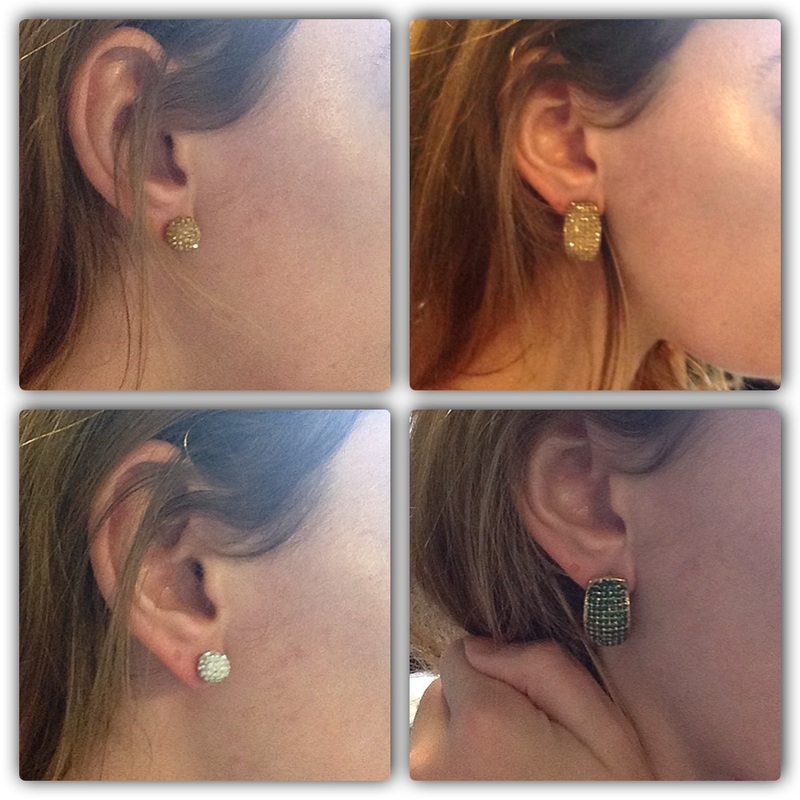 Top Left: Charming Charlie – Chandelier earrings – http://www.charmingcharlie.com/jewelry/earrings.html. Red Studs from Houston Boutique. Kate Spade – chandelier earrings – http://www.katespade.com/designer-jewelry/designer-earrings/ks-jewelry-earrings,default,sc.html . Cream Studs from Houston Boutique. 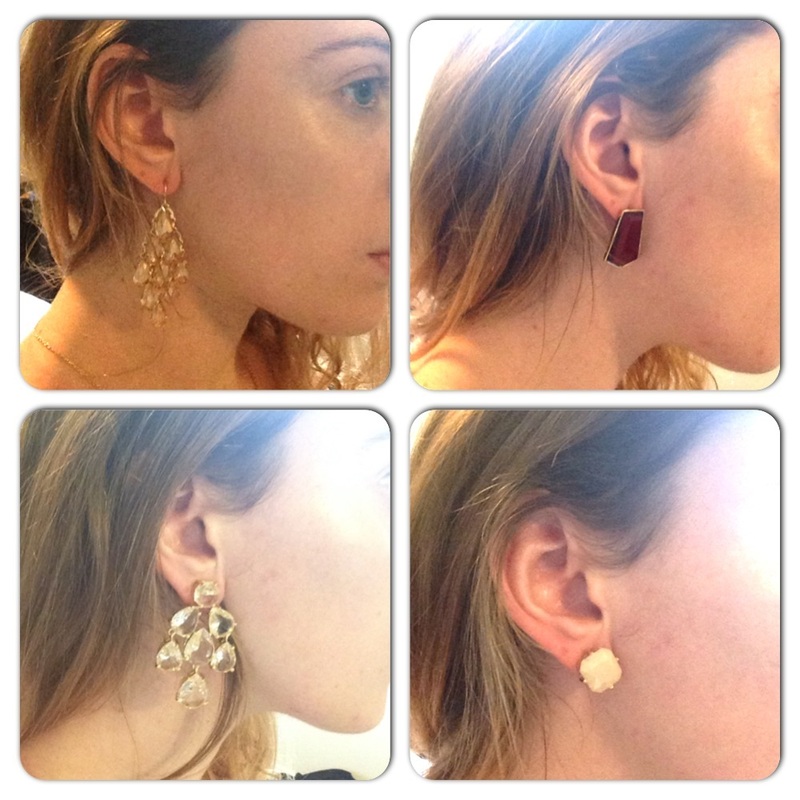 What are you favorite earrings at the moment? I would love to hear and see pictures from you! As you can tell I usually stick to Gold jewelry however I do have one or two items which are colored or silver. Always good to have a mix for every occasion. The ‘a’ studs are a dedication to my beautiful Husband, it’s a fine idea. I love jewelry with words or letters. You could have your initials, your partners initials anything! Have fun with it – that’s what fashion is about expressing yourself.